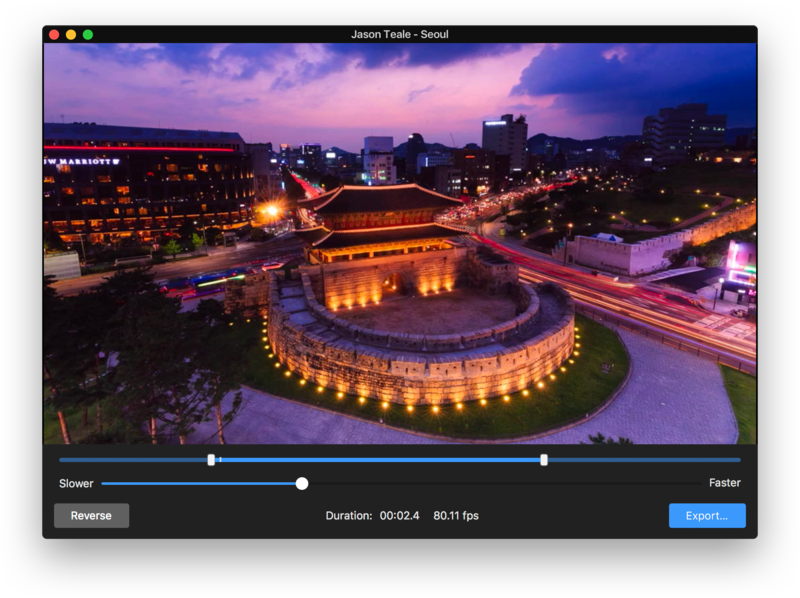 Persecond is the easy, fun way to create a beautiful timelapse video. Import an image sequence from any camera, trim the length of your video, adjust the speed and playback direction, and you’re done. Export in broadcast quality or import to Flixel Cinemagraph Pro and create an amazing timelapse+cinemagraph hybrid video. It’s magical visual storytelling at its best. Drag-and-Drop. – Drag-and-drop or browse for an image set; Persecond sorts them automatically. Quick Edit. – Trim your in and out points, set the play direction, and pick a speed. Done. – That’s it–export in HD or broadcast quality or upload and share.